Trivia fans, get ready! 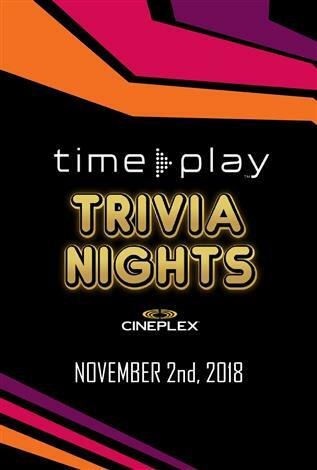 For a limited time, join us for TimePlay Trivia Nights at Cineplex on Fridays at 7:30pm at select theatres in the GTA. Challenge your friends and other players on movie trivia and never-before-seen categories in TimePlay at Cineplex such as sports, games, music and much more! Best of all, you’ll be playing for a chance to win $250 plus lots of other great prizes! For tickets and participating theatres visit Cineplex.com/TriviaNights.